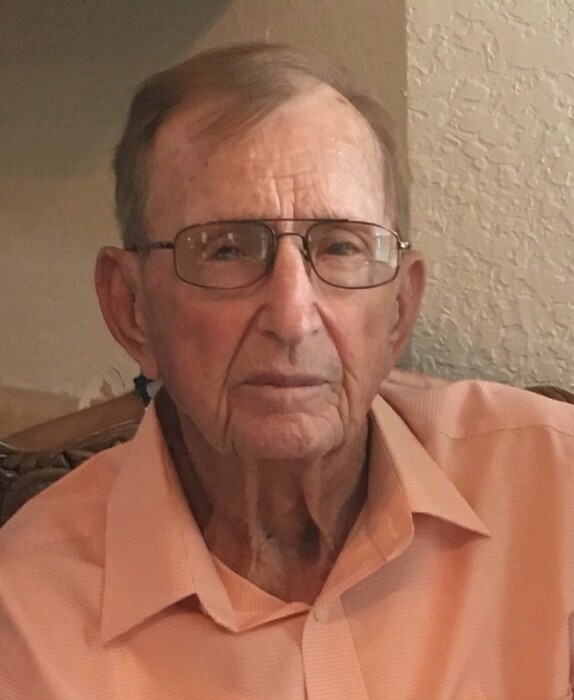 Earl D. McDaniel, age 89, of Baxley died Thursday, January 24, 2019 at Appling Healthcare System. Mr. McDaniel was born June 21, 1929 in Appling County to the late W. Clarence McDaniel and the late Martha Edna Martin McDaniel. He was a member of Ten Mile Creek Baptist Church where he served as a Deacon and Sunday School Superintendent and was a member of the choir. He was a veteran of the United States Army and an Ironworker for over 40 years prior to his retirement. Mr. McDaniel was a Mason and member of the Holmesville Masonic Lodge 195 F & AM. In addition to his parents, Mr. McDaniel was preceded in death by his brothers, Vernon McDaniel, Aldon McDaniel, Waymon McDaniel and a daughter in law, Pebbles McDaniel. Survivors include his wife of 64 years, Fannie Mae White McDaniel; children, Cathy M (David) Campbell, Angela M. (Joffre) Morris, Chad G. McDaniel, and Dawn Kalish; grandchildren, Bret (Jennifer) Campbell, Breanna (Chat) Carter, Allie (Eddie) Pearson, Hanna (Marcus) Lewis, Maegan (Jeremy) Norris, Katie Kalish, and Anne Grace Kalish. Eight great grandchildren,Maysi Campbell, Rylan Campbell, Colin Campbell, Morris Carter, Avery Carter, Darcy Carter, Ellie Pearson, Emma C. Lewis and many nieces & nephews also survive. Funeral services will be held Sunday, January 27, 2019 at 3:00 p.m. at Ten Mile Creek Baptist Church with Rev. Tommy Daniels and Rev. Jim Snell officiating. A private family committal service will follow in the White Family Cemetery. Active Pallbearers will be Bret Campbell, Chat Carter, Eddie Pearson, Jeremy Norris, Marcus Lewis, Van Kanavage, Jayson Chancey, and Richie Williams. Honorary Pallbearers will be Celina Crapps, Teresa Mobley, Sylvia Harris, Charles Coley, the Adult Men’s Sunday School Class of Ten Mile Creek Baptist Church, and all friends in attendance.